Here’s a bar with that true Mediterranean feel, that feeling you can easily find from Formentera to Sardinia, from the Greek islands to Salento, that feel that makes you say with a smile, “Hey, I’m on holiday!” The colors, the scratches on the wooden beams, the palm tree leaves and the artworks are just perfect and welcoming for a drink in good company. To be honest, it’s perfect à deux, three if you include Lourdes, the very nice owner, for a lovely chat. Beauty apart, Bar 21 offers a set of simple Mediterranean dishes just perfect for a light, laid back lunch when the beach sun is too hot. Fresh and grilled vegetables, sun-dried tomatoes with anchovies, burrata, salads or quiches are gracefully prepared and presented. 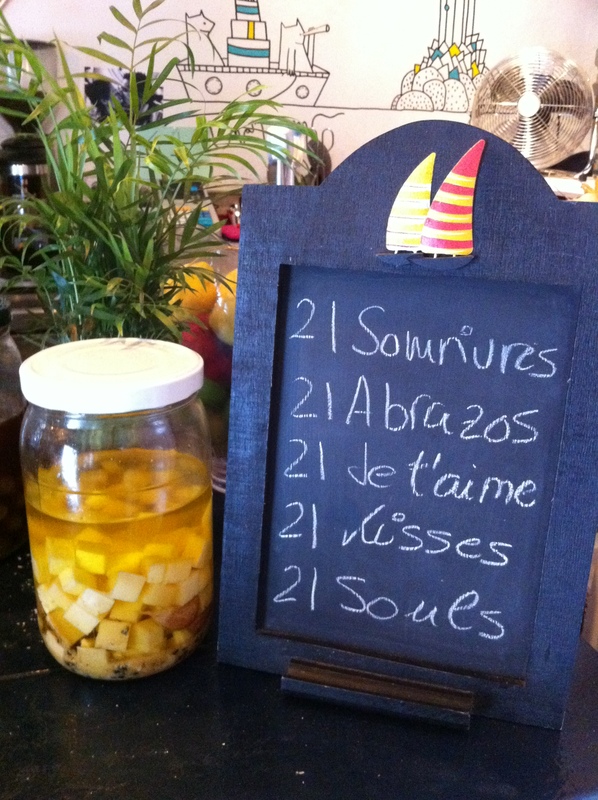 A free tapa to accompany a glass of wine or champagne is included if you decide to come at sunset. And since it’s so close to the beach apartments in Barcelona, you might as well decide to hop in and out more than once a day. For more information visit the Bar 21 Facebook Page. 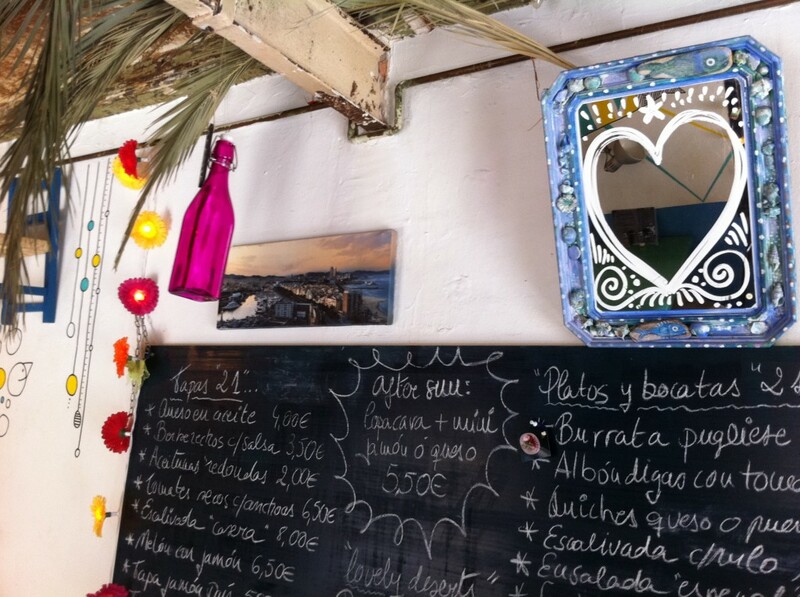 This entry was posted in Bars & Nightlife, Home, Restaurants & Food and tagged Barcelona food, barceloneta, barceloneta night life, bars close to barcelona beach, bars in barcelona, beach apartments barcelona, cocina mediterranea, mediterrenean food. Bookmark the permalink.